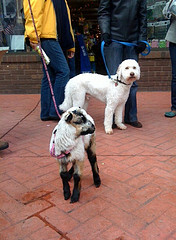 Today I experienced another "only in San Francisco" moment. 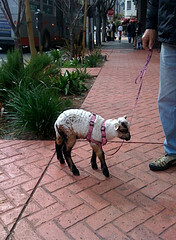 I saw a man walking Leonardo, his pet Barbados sheep, on a leash, down 24th Street in Noe Valley, San Francisco. Barbados Blackbelly sheep grow to over 200 pounds and have hair instead of wool. Leonardo is only six weeks old, and he was abandoned by his mother and then adopted by a farmer from Northern California. Tahvo Featured on Getty Images, originally uploaded by askgadgetgirl. Tahvo was photographed on New Years Eve in the Castro by Getty Images photog David Paul Morris. 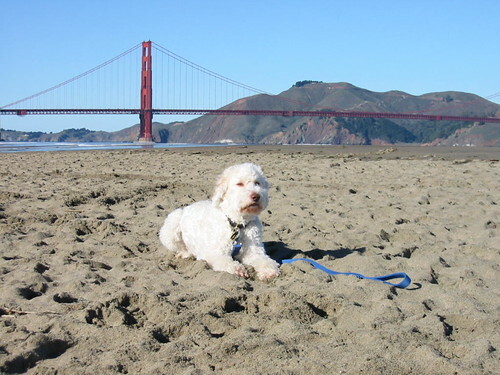 David’s expose focused on how San Franciscans were planning to celebrate the New Year. 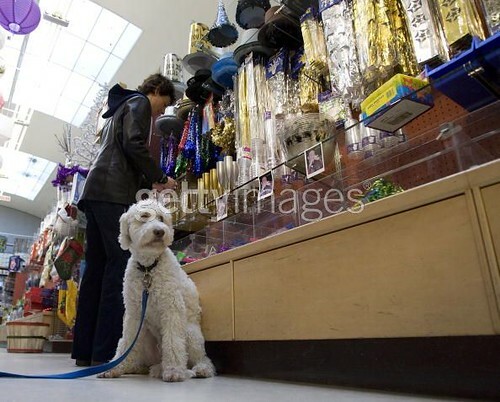 SAN FRANCISCO – DECEMBER 31: Tahvo a 6 year old Italian Water Dog stands watch as … shops for New Years Eve party favors at Cliff’s Variety Store December 31, 2007 in San Francisco, California. Many parties around the Bay Area will celebrate the New Year including thousands at the Embarcadero. 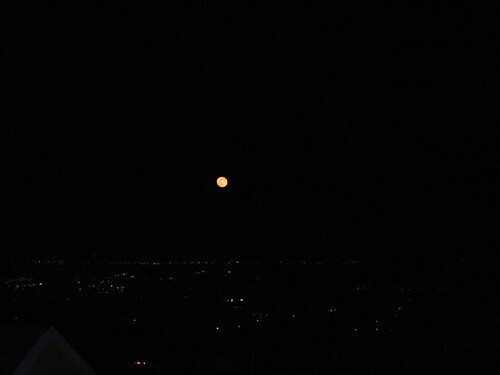 Full Moon Over San Francisco 3, originally uploaded by askgadgetgirl. Merry Christmas from San Francisco, originally uploaded by askgadgetgirl. 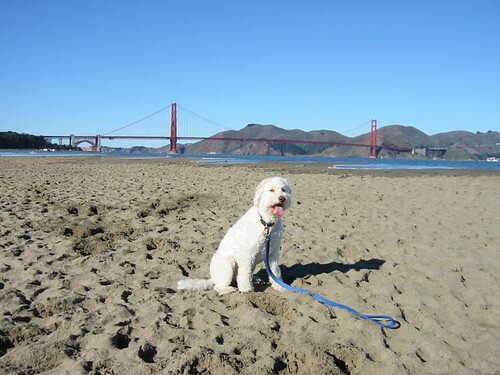 Happy Holidays from San Francisco, originally uploaded by askgadgetgirl. 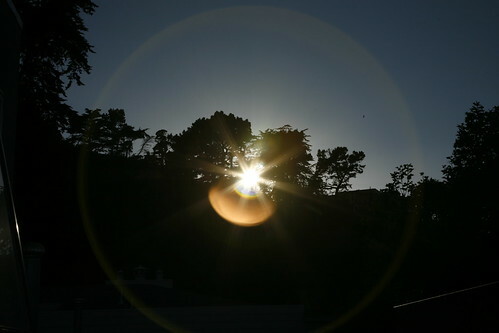 san francisco starburst, originally uploaded by askgadgetgirl.